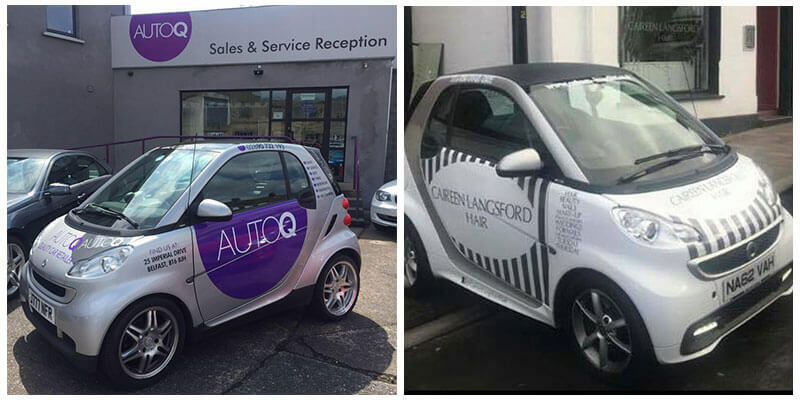 At AutoQ, we can take your vehicle or fleet and transform it into a lasting brand masterpiece that will be noticed on the road. We offer numerous vehicle graphic solutions including: Van wraps, Car Wraps, Truck Wraps, Vehicle Fleet Branding, Overlay Digital Decals, Vinyl Decals, Vehicle Colour Change and much more. Vehicle advertising generates thousands of impressions per day on our roads for your business, yet it only costs a fraction of other forms of advertising. Larger corporate businesses have been using this form of advertising for years and now, much smaller businesses and sole traders can afford to make the same impression for minimal cost.